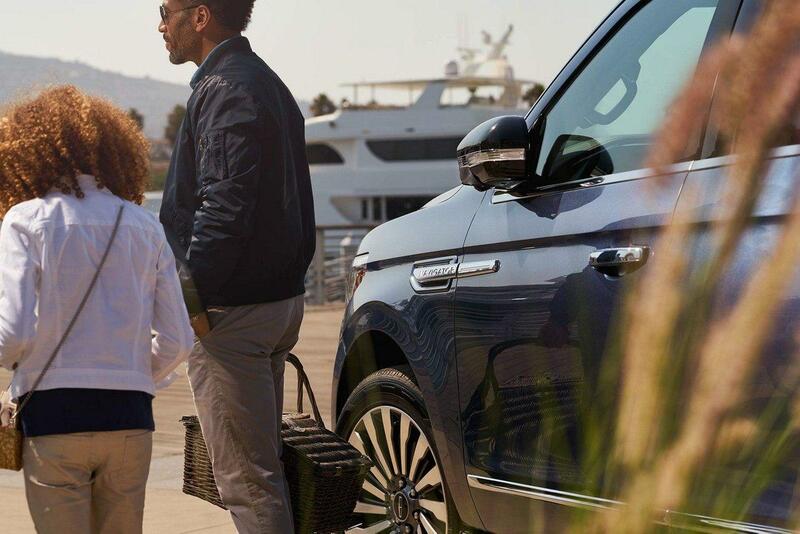 If you are looking for the ultimate SUV, you need to talk to the experts at South Bay Lincoln about the swanky 2018 Lincoln Navigator. The new Lincoln Navigator is a redefining experience thanks to its intuitive features and plush appointments. Because we are so excited about everything this SUV has to offer, South Bay Lincoln believes you deserve to learn more about the 2018 Lincoln Navigator for sale in Hawthorne. The 2018 Lincoln Navigator is not only comfortable it is also extremely powerful. All six trim levels come with a Twin-Turbocharged 3.5-liter V6 engine that produces a best-in-class 450 horsepower at 5,500 rpm and 510 lb.-ft. of torque at 3,000 rpm. Even more pleasurable, with the standard RWD and 10-speed SelectShift automatic transmission you can get up to 23-mpg highway in fuel economy*. On some of the trims, you get six distinct selectable drive modes that let you handle a wide variety of driving conditions all with the simple twist of a knob. Other performance benefits include available adaptive suspension, 4x4 drive, and towing capacity of up to 8,700 pounds with the Heavy-Duty Trailer Tow package. There are few if any, SUVs on the market that can match the 2018 Lincoln Navigator for luxury and hi-tech features. When it comes to keeping you comfortable, the 2018 Lincoln Navigator can be equipped with premium leather-trimmed 1st- and 2nd-row heated seats, Lincoln Soft Touch 3rd-row seats, PowerFold captain’s chairs with recline, and PowerFold 60/40 split bench seat with power recline and remote-folding outboard head restraints. You can also add a number of optional comfort features such as the Panoramic Vista Roof, Perfect Position Seats with Active Motion massage. If you crave the latest in connectivity and media features, the 2018 Lincoln Navigator will thrill you. 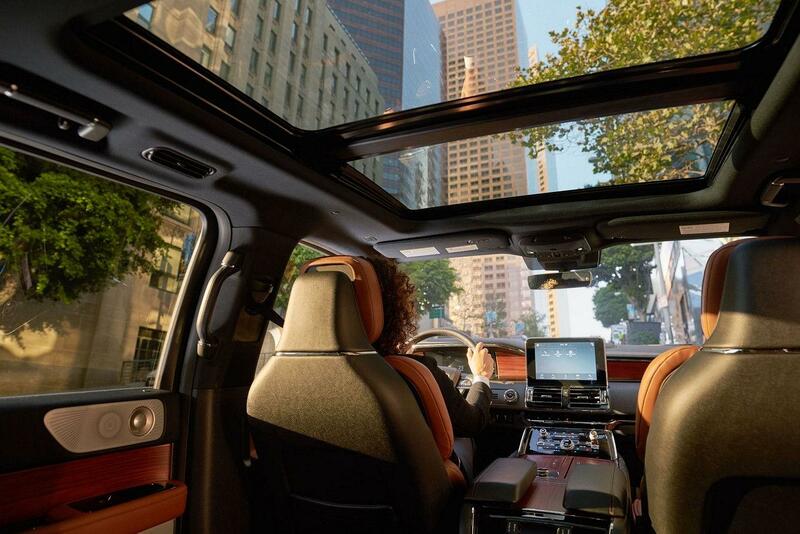 With the available Lincoln Connect system, you get 4G LTE Wi-Fi hotspot capabilities that allow for up to 10 devices to be connected at the same time. The available Revel Ultima Audio System includes twenty intentionally placed speakers that gives multi-dimensional sound in every seat thanks to the Revel Wavesguides, QuantumLogic surround sound. For your passengers, there is Lincoln Play that includes a 10-inch adjustable screen mounted on the back of each front seat. While the 2018 Lincoln Navigator is certainly impressive in print, it must be experienced in person to truly understand its greatness. To schedule a test-drive of this available SUV, please feel free to contact the sales and service experts at South Bay Lincoln today.